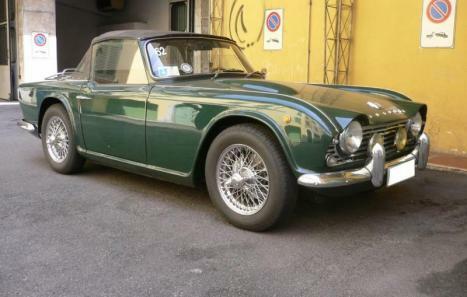 First series of mythical Roadster of the "Triumph Motor Company", 1962, born from the pencil of the famous Italian designer Giovanni Michelotti, perfect bodyshell coloured in the classic British racing-green, 2138cc engine. 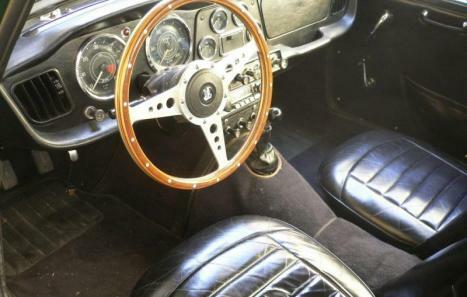 and 102 hp, with side camshaft, 4 cylinder in line, 4-speed transmission with Over-drive on 3rd and 4th, perfect interiors, beautifully re-make seaters in black leather, with original radio and accessories and all original Jaeger instrumentation, steering wheel Moto -Lita wood. 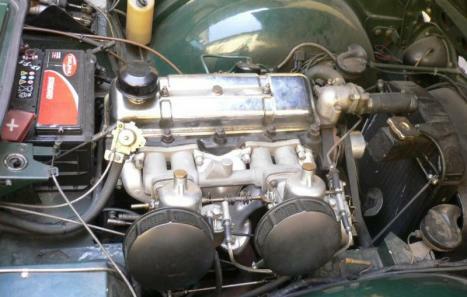 Conditions almost perfect, 4 owners total, matching numbers: Chassis No. : CT12613L, engine No. : CT12814E, ASI certified and FIVA passport Category A / 3 (the maximum). Condition of mechanical and engine really stunning, very high performance and handling for all types of driving. 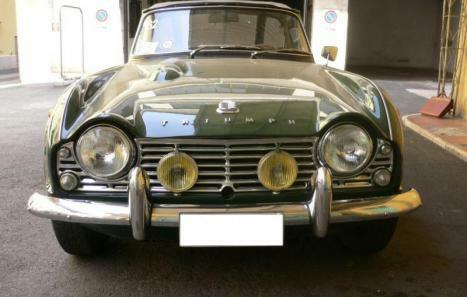 It has participated in many competitions of regularity in Italy and all 'foreign car ideal for racing as the "Winter Marathon" or simply to use as a charming and roaring spider in week-ends! For any information call +39 348 0090418 - Federico.